"Oleh Sentsov has been on a hunger strike for 109 days, Volodymyr Balukh for 165 days." 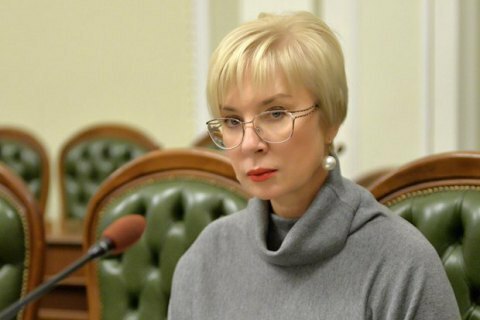 Ukrainian ombudsperson Lyudmyla Denisova has asked her Russian counterpart Tatyana Moskalkova to give an update on the health condition of Ukrainian political prisoners confirmed by medical reports. "Oleh Sentsov has been on a hunger strike for 109 days, Volodymyr Balukh for 165 days. Their condition is hypercritical already," she said on Facebook. She is also concerned about Bekir Degermendzhy, Asan Chapukh and Arsen Dzhepparov held in the Simferopol remand centre in occupied Crimea. Earlier, she said that Russian President Vladimir Putin had ignored 22 Russians' request to get exchanged for Ukrainians.